Diarrhea is a common and often minor problem. However, its persistence requires further investigation. Where does this transit trouble come from? What are the treatments? Diarrhea is defined by the release of stools that are too soft or even liquid. There are two types, depending on the frequency of the disorders: acute or chronic. In both cases, the causes can be many. Acute diarrhea: Due to food poisoning? WHAT ARE THE CAUSES OF ACUTE DIARRHEA? Diarrhea Acute diarrhea attacks are those that occur suddenly. They are often linked to a food poisoning, that is to say to the ingestion with a food of a bacterium or a toxin (kind of poison produced by a bacterium). In this case, the intestinal walls are attacked by the intruder virus or bacteria: the absorption of water is no longer done, there is even an excess of secretion. The best-known bacteria are staphylococci and the famous salmonella. In this case, diarrhea occurs a few hours to a few dozen hours after a meal including cold cuts or milk products, it is accompanied by fever, nausea and vomiting. Sometimes the acute diarrhea is due to a virus: this is the case of the famous gastroenteritis. In addition to intestinal disorders, it also causes fever, vomiting, abdominal pain, headache or muscle pain. Some medicines can also cause diarrhea. TREATMENT OF ACUTE DIARRHEA: REHYDRATE BEFORE EVERYTHING! Acute diarrhea often does not require extensive medical examinations. The big risk is dehydration, all the more serious when it affects children, the elderly and sick people. The usual treatment therefore always involves oral rehydration (water, sugar and salt) accompanied by an intestinal antiseptic, an antidiarrheal and an antispasmodic in case of abdominal pain. In severe forms (fever, blood in the stool, very abundant diarrhea), antibiotics are necessary. Then, we must plan to restore the intestinal flora, by eating yogurt for example. HOW TO RECOGNIZE A CHRONIC DIARRHEA? Diarrhea is chronic when it lasts for more than two or three weeks. In this case, the causes can be many. Benign colon damage is common. In some rare cases, thyroid problems, inflammation of the intestinal wall, parasites or sometimes a tumor may be involved. Diarrhea can also be caused by the massive and prolonged absorption of laxatives. Some antibiotics may also be responsible. WHAT TO DO IN CASE OF CHRONIC DIARRHEA? In the case of chronic diarrhea, medical examinations are essential to determine the exact cause of the problem. The treatment will then be based on the result. WHAT ARE THE CAUSES OF TURISTA? The turista is not due to changes in diet, climate, spices or travel fatigue. It is always infectious origin usually food, bacterial most often. These infections occur more readily in the first week of the trip. The diarrhea is accompanied by abdominal pain and usually does not cause or low fever. HOW TO HEAL FROM A TURISTA? The treatment is that of any acute diarrhea. The evolution is towards healing in 4 to 7 days. The respect of the rules of simple hygiene is essential: to cook well, to boil or to peel the food. Liquid stools, stomachaches, tiredness … These symptoms, which you know well, often lead you hard. Chemical or natural remedies, there are solutions to put an end to these small inconveniences. Diarrhea and its associated symptoms are sometimes a real ordeal. Your transit suffers and you too. Abdominal cramps writh you with pain. This is too much ! Are there any remedies to relieve these ailments? Which solutions to choose? Our advices. Diarrhea: what to do? How to cure the symptoms? Diarrhea is a symptom in itself. Of infectious or psychosomatic origin, it is always the manifestation of a disease or a pathological process. It results in the emission of a quantity and a frequency of saddles higher than normal. These can be soft and watery. They are sometimes accompanied by mucus or blood. Diarrheal episodes are usually associated with abdominal pain and cramps. Nor is it unusual to experience a general feeling of weakness. Finally, it may happen that a slight fever follows this painful state. To relieve symptoms there are different medications available with or without a prescription. Anti-diarrheal drugs such as loperamide (some of which do not require a medical prescription such as Imodium Lingual®) reduce excessive activity of the intestines and improve fluid absorption. This will normalize the stool again. These medications may be convenient for travelers who have to travel long distances. They quickly relieve your diarrhea and prevent you from losing too much water and nutrients. In addition to regulating bowel movements, these medications will not weaken you. On the other hand, they are contraindicated when you have a high fever (> 38.5 ° C) or if your stool contains mucus or blood. 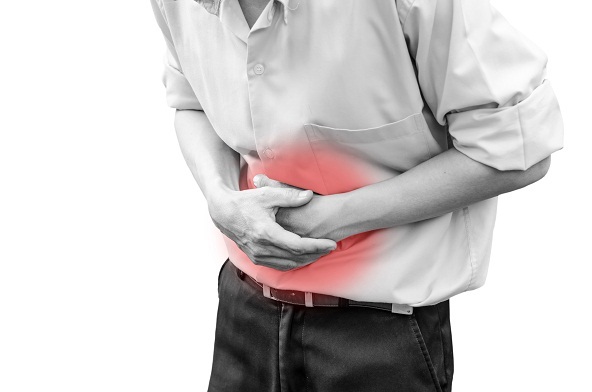 For abdominal pain, you can consume antispasmodics (such as Spasfon Lyoc or Imodium Duo whose ingestion is faster). Do not abuse too much of these pain killers. Remember that these drugs relieve symptoms but do not treat the pathology that caused the onset of diarrhea. If pain and diarrhea persist, you should see a doctor. Probiotics: Studies have shown that in addition to rehydration, Lactobacilli can reduce the symptoms of diarrhea in case of intolerance to antibiotics, when it occurs. Herbal medicine: it is recommended to treat any type of diarrhea. You can consume oak bark in decoction. By its astringent effect, that is to say, it reduces the permeability of the intestine, it relieves diarrhea. Infusions of chamomile or ginger also soften the symptoms. If you have any of the symptoms mentioned by Professor Beaugerie, do not play the Sorcerer’s Apprentice by practicing self-medication. Trust your doctor, who will take care of you. ← What are the symptoms and Duration of the Flu?